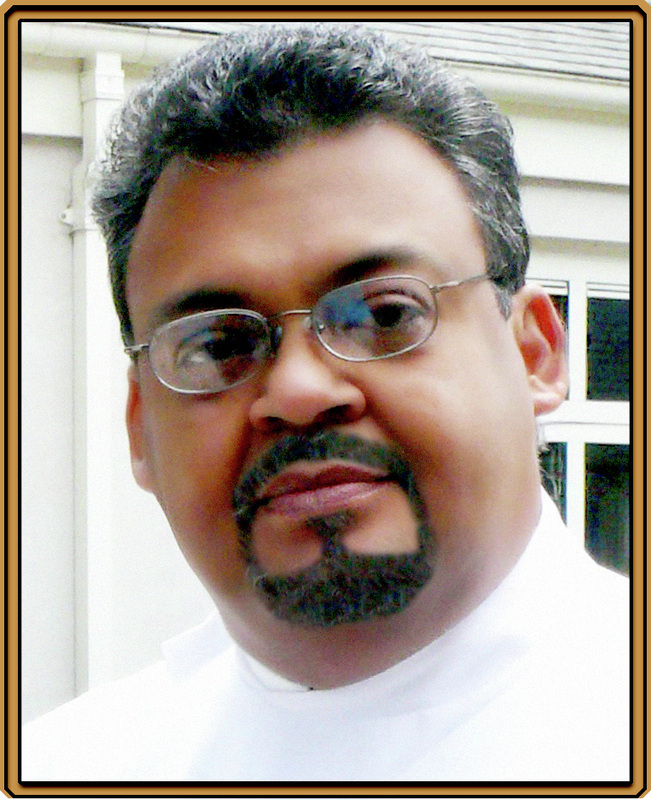 Hi, I'm Michel du Chaussee and I'm a permanent deacon currently assigned to St. Bartholomew Parish (St. Bart's) in Miramar, Florida. I was born in Trinidad where I attended Catholic primary and secondary schools, graduating from St. Mary's College, Port of Spain in 1977. I have a wife, Eva whom I married in 1983 and two children, Marc and Andrea. In 1989 we migrated to the United States and settled in Pembroke Pines, Florida. I am an accountant by profession and have worked in both large and small companies in a number of senior positions. In December of 2008 I was ordained a permanent deacon in the Archdiocese of Miami along with fourteen wonderful (but all slightly crazy) brothers in Christ. In addition to the liturgical and sacramental roles I have at weekly masses, baptisms, weddings and funerals I currently conduct our parish Scripture courses, am a speaker at our Parish Renewal retreats held three times a year and facilitate along with Eva at the Engaged Encounter retreat hosted at St. Bart's under the auspices of the Family Life Office of the Archdiocese. My hobbies are varied and they include reading, listening to music (pretty much all genres), watching basketball (Let's Go Heat!) and other sports, photography and working with related programs such as Photoshop. Eva would be the first to confirm that I'm 'addicted' to a computer, so I guess there is some 'geek' in my DNA. But whether it's family & friends, work, ministry or recreation I can sum it all with one word: PASSION. I can honestly say that I seem unable to have just a 'casual' interest in anything. It always develops into a PASSION and turns me into an avid (maybe rabid) collector, reader, researcher and student. Of course that means I'm passionate about Christ and his Church! That being said I hope to share that passion with you in this website which in true form started as a simple thought over the weekend and had resulted in sleepless nights since as I journeyed toward its completion. Hopefully you will also share your thoughts and passions with me as we travel the Christian road together. So bookmark this site and join me in my weekly blog. Let me know what you like or dislike or would like to see by leaving a comment in my guestbook. I'm looking forward to hearing from you. Peace.